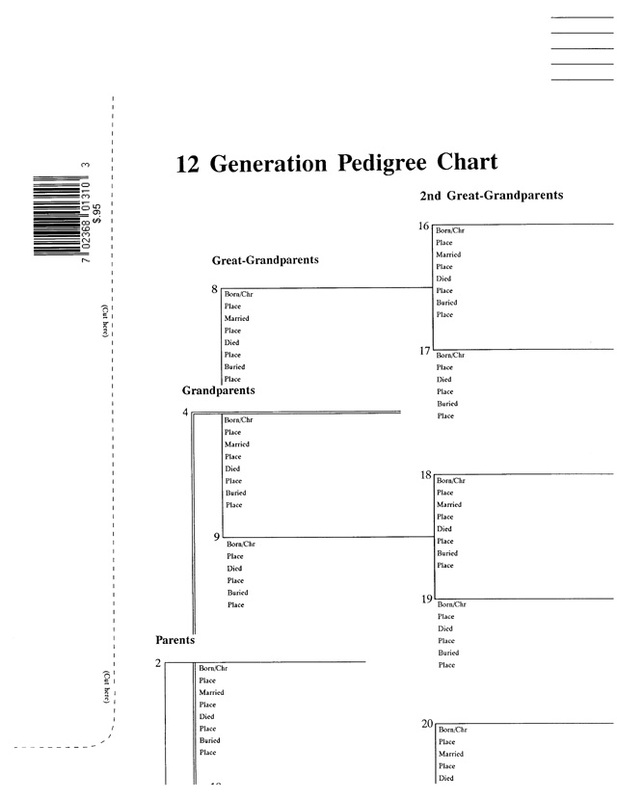 12 Generation Pedigree Chart – 10 pack – Stevenson Genealogy & Copy Center L.L.C. 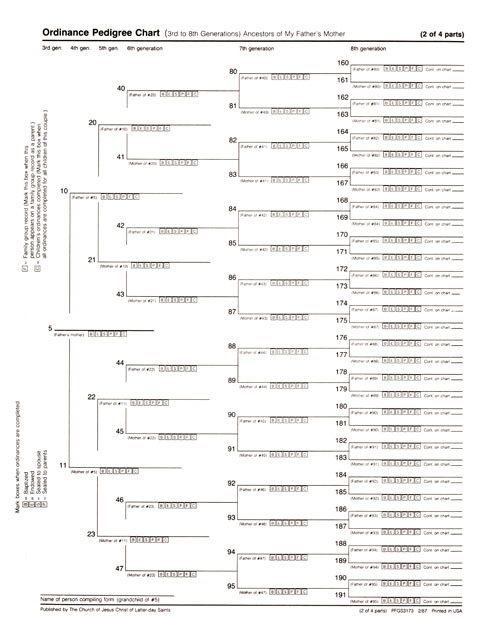 A package of 10 Charts. Nine generations are on the front and three more can be continued on the back. 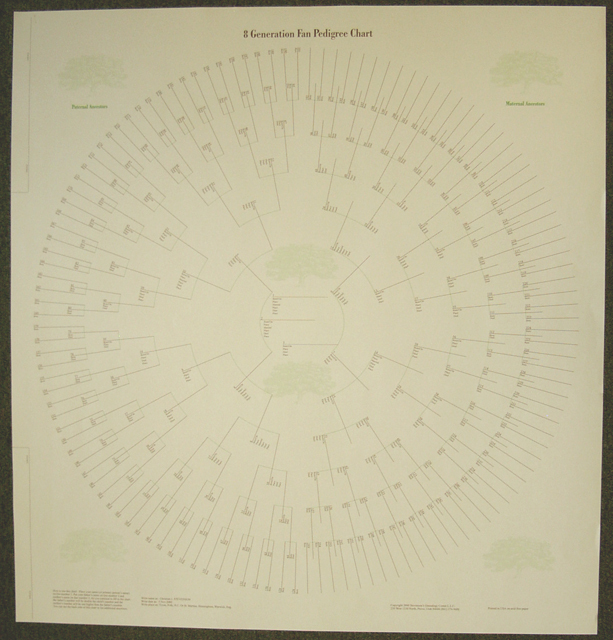 The chart measures 23″ x 29″ and is folded and hole-punched to fit an 8½” x 11″ binder. 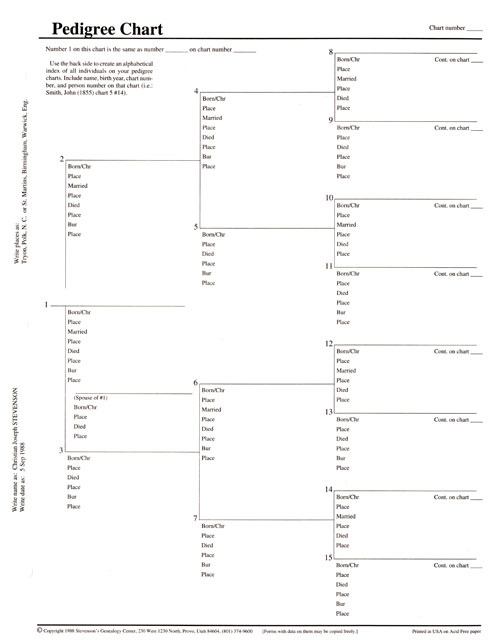 To order single charts, click here.